Every year the Austin Fire Department holds a memorial stair climb to honor the 343 firefighters killed on 9/11. 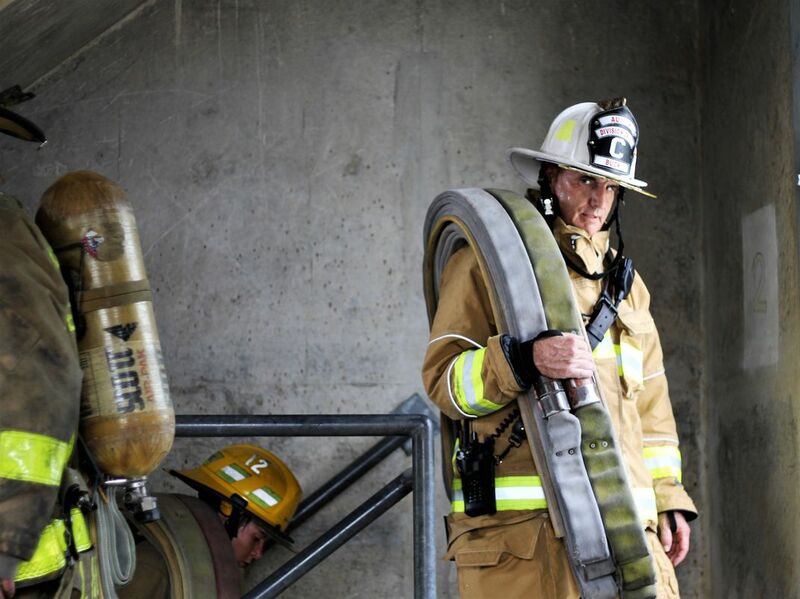 The firefighters climb the number of floors equivalent to those in the World Trade Center. Firefighters of all ranks participate. This is a photograph of one of the fire chiefs as he is coming up the third flight of stairs near the end of the day. Each firefighter wears full gear and carries a hose bundle with the name of a fallen FDNY firefighter. Date Uploaded: Sept. 14, 2018, 8:16 p.m.